Yokogawa WT5000 Precision Power Analyzer – achieving the world’s highest measuring accuracy: ±0.03% of total at 50/60 Hz. The Yokogawa WT5000 Precision Power Analyzer breaks new ground with its industry-leading measurement accuracy of ±0.03% combined with stability, noise immunity and plug-in modular flexibility. It leads the way in responding to the measurement needs of today’s developers of energy-efficient systems. In rapidly evolving industry sectors such as electric vehicles, renewable energy and energy efficient technologies, the need for accuracy, stability and reliability in testing to enhance safety, efficiency and performance has never been greater. 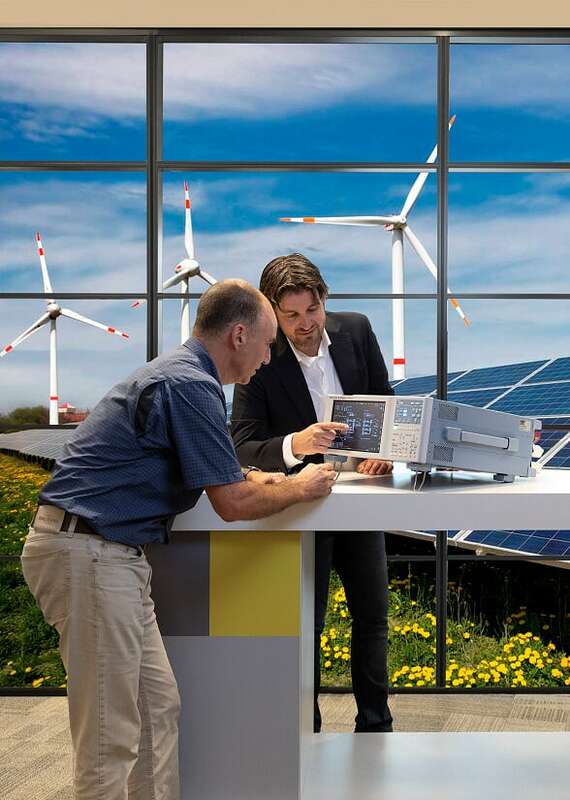 Changing application needs and evolving international standards call for custom measurements and consistent accuracy, and in the WT5000 Precision Power Analyzer engineers have a versatile platform that not only delivers reliable measurements today, but is also ready for the challenges of tomorrow. The WT5000 has a flexible, modular design which has been developed as a long-term solution to the challenges of changing markets and specific application requirements. 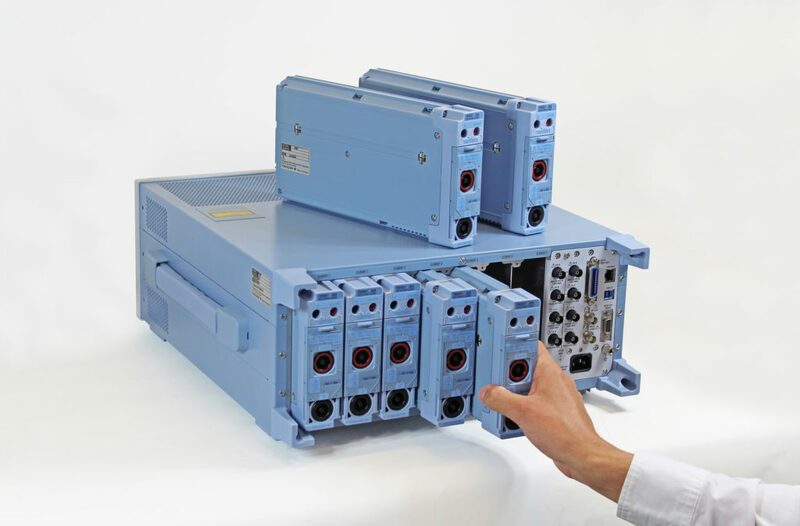 Yokogawa continuously keeps ahead of market requirements which today include the increasing switching frequencies of power conversion devices and the requirement to build efficient and effective products. Reliability: in particular, the ability to produce accurate, stable and trustworthy measurement data over a prolonged period of time. Versatility: Market requirements continually evolve. The flexible architecture of the WT5000 enables versatility and flexibility to meet ever-changing market requirements. Simplicity: The WT5000 provides ease of operation with features such as a touchscreen display. So whether a user has worked with power analyzers for years or is new to this environment, it provides ease of use and excellent functionality. The WT5000 achieves the world’s highest measuring accuracy: ±0.03% of total at 50/60 Hz. As a result, it has become possible to evaluate the power consumption, loss, and efficiency of new Power Conversion technologies which incorporates ever increasing switching frequencies. It enables customers developing these technologies to enhance their designs’ performance and measure and verify their new energy-efficient designs. In particular, the wide dynamic current range of the WT5000 is indispensable for tests on energy-saving designs. The WT5000 is the first instrument of its kind to use a modular architecture, allowing it to be adapted to any application. With seven user-swappable input elements it can be configured for measurements combining one DC bus and two electric motors or one six-phase motor, for example. For AC/AC converters it is also possible to include the DC bus of the inverter. The system is future-proof for accurate measurements on signals with ever- increasing switching frequencies. It also offers the widest bandwidth currently available (10 MHz for voltage and external sensor input and 5 MHz for current). To accept higher frequencies into a high precision measurement instrument means that considerable numbers of counter measures against noise are required. 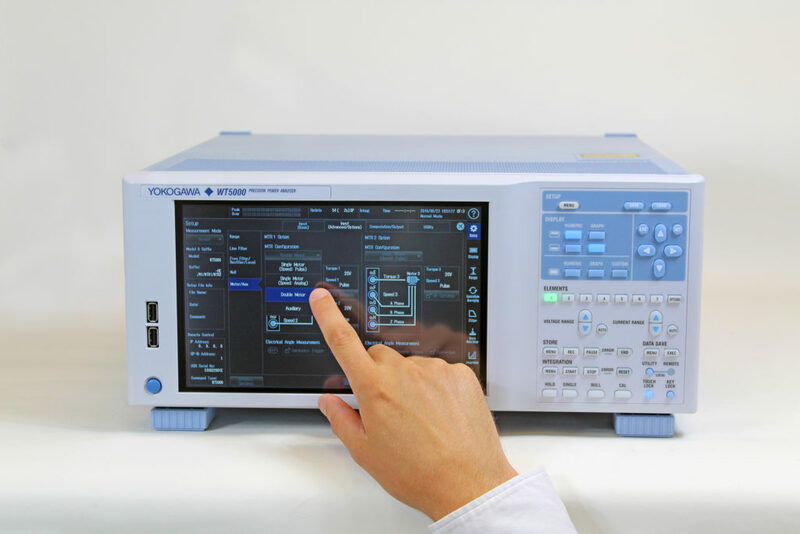 The sampling frequency has been increased to a market-leading 10 MS/s, which has had an impact on the isolation requirements, leading to Yokogawa designing a new variation of its ISOpro optical isolation technology. Our expertise and experience in power measurement technology have allowed us to increase the accuracy while maintaining the unmatched guaranteed uncertainty range and installing more channels in the same frame. Besides the input design, two key criteria for high accuracy are heat and (common mode) noise. As the input modules are user swappable, the heat distribution inside the instrument must be equal over the whole instrument. Yokogawa has improved and designed special shielding against noise and crosstalk to maintain the same high performance in the smaller module input size. However. this shielding also makes it more difficult to dissipate the heat of the measurement. Therefore, considerable time was invested in testing and evaluating the heat distribution throughout the WT5000. As a result, Yokogawa now offers the best available DC accuracy in the market, which is valuable as most efficiency measurements of inverters are based on DC input and AC output. To support electrification of transportation, the WT5000 has the unique capability of measuring the mechanical power from up to four motors applied simultaneously to measure the overall drive train efficiency. The key challenges for electric vehicles are greater charging capacity, reduced charging times and longer travelling range. Achieving improvements in these areas requires thorough evaluations of in-vehicle components and subsystems including the power train, the charging system, brushless DC motors, ECU communications, steering systems and more. While powertrains require accurate evaluation of electromechanical efficiency and torque, tests on brushless DC motors may require analysis of PWM signals and transients. Evaluation of battery charging and discharging requires positive and negative cycle analysis, and future developments in wireless charging will need measurements at lower power factors and frequencies in the range of hundreds of kilohertz. Embedded electronics, ECUs and communication bus signal testing need precise waveform analysis, while the evaluation of inverter waveforms needs to account for and reduce harmonic superimpositions through isolated inputs, high-speed sampling, and long-time observation. The WT5000 provides accurate and repeatable measurements in such applications. Power generation and distribution is changing as fossil fuels are replaced by renewables as local energy generation and private storage facilities increase. Greater demands and challenges will be imposed on the grid, and standards for the power consumption and harmonic influences of consumer products will become stricter to ensure a stable and reliable grid. Keeping a balanced grid poses several challenges to power engineers and grid operators. Power outputs from different sources have different levels of distortions, from switched-mode suppliers (solar, wave and wind) to those in constant-mode supply (coal, gas and nuclear). With many renewable and non-renewable power stations feeding the grid, engineers must ensure a balanced grid, which needs robust testing and accurate measurements to reduce the impact of noise, distortions and harmonics from multiple sources. Operators of power generation stations and large consumers need to quantify the effects of their inputs to and outputs from the grid. The WT5000 provides a solution.